The Post went on a wine tasting tour in Traverse City over Mother’s Day weekend. Judy Reed, of Cedar Springs, was treated to the weekend as a Mother’s Day present from her children, Rachel Hunt, Jessica Williams, and Steven Reed. 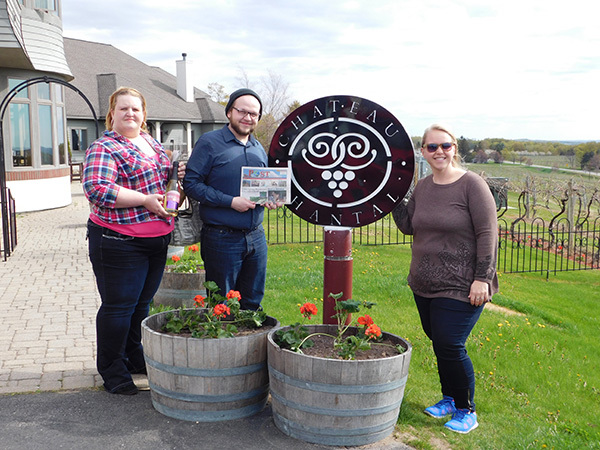 The four visited several wineries on both the Old Mission Peninsula and the Leelanau Peninsula, tasted all things cherry at Cherry Republic, and enjoyed the beautiful scenery surrounding Traverse City and the bay. Thanks to the Reed family for taking us with you! If you are going on a trip, take a Post with you, snap a photo, and send it to us, along with some info about your trip. Be sure to include your contact info in case we have a question. Send your Post travels stories and photos to news@cedarspringspost.com.